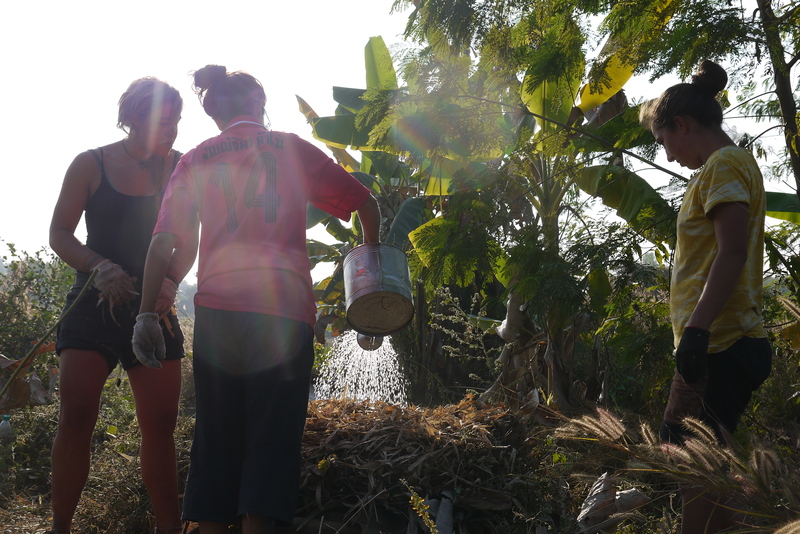 The Gaia Ashram Internship is a one month Internship program on Ecovillage Design, Permaculture and Deep Ecology. The internship will be a holistic participatory learning experience & process. The Gaia Ashram Internship runs for one month from the 12th of November until the 10th of December. We will have a weekend break in the middle of the program on the 25th and 26th of November. Interns will experience being part of the Gaia Ashram Community and we will live together for one month at– Gaia Ashram-. At Gaia Ashram we belief in holistic learning that balances the head, hands & heart. 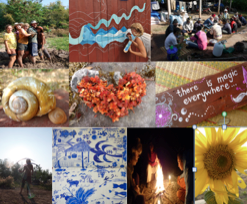 Gaia Ashram encourages participatory learning & values the power of community in holding the learning space. We design the daily & weekly structure of the internship and of our lives here based on these values and principles. The theoretical sessions will be participatory and interactive. It will cover the 4 keys of Ecovillage Design Education (Social, Economical, Ecological and Worldview inspired by Gaia Education). Each week will cover one of the Ecovillage Design Keys and integrated into this we will be introduced to Permaculture Design & Deep Ecology in terms of philosophy, movement and personal experiences. Overall, We will have a maximum of 2-3 hours of theory per day on the session days, to also create lots of space for practical experiential learning. See more details of the key content below. For the hands – on practical learning we will be developing the Gaia Ashram’s farm and restoring nature on the Gaia Ashram land using permaculture strategies & techniques that are appropriate for the local context. The hands-on work will focus on Gardening and Natural Building. Weaved into the four weeks will be the lots of opportunities & exercises to connect with the heart & spiritual dimension. During the one month living together we will have space in our daily and weekly structure for personal reflection, well -being check-in, deep sharing, attunement, practice yoga & meditation. Through the Deep Ecology work we will also be able to connect deeply with ourselves, each other & nature. Connecting with ourselves, each other & the community of all beings! We believe that education that empower us need to be a holistic education and also need to be held in a supportive ground and environment such as a community. Therefore, the Gaia Ashram Internship, as well as other programs that are and going to be held here, will start with creating a supportive community among the people who will live and learn together for one month. Below we give the Daily & Weekly structure at Gaia Ashram. During the social week we will get to know each other, build up trust, strengthen the connections within the group, among the people & with the surrounding nature. We will create the foundations of how we can be positively living together as a community. We will establish our common ground and values together. The community living process will be the foundation of the whole one month learning. During the worldview week we will look at how we perceive our world and learn about a holistic worldview. We vision and create a story for the future where humans live in harmony with nature & each other. We will look at how we can work with nature rather then against it. We will learn about Deep Ecology & “The work that re-connects” as developed by Joanne Macy. We will raise our ecological sensitivity by spending time in nature & observing nature through all our senses. During the Ecology week we will learn about different strategies that will help us in building sustainable human settlements that are self-reliant, resilient & self-regenerating. We will be learning about Permaculture and how we as humans can co-create with nature rather than to against it. 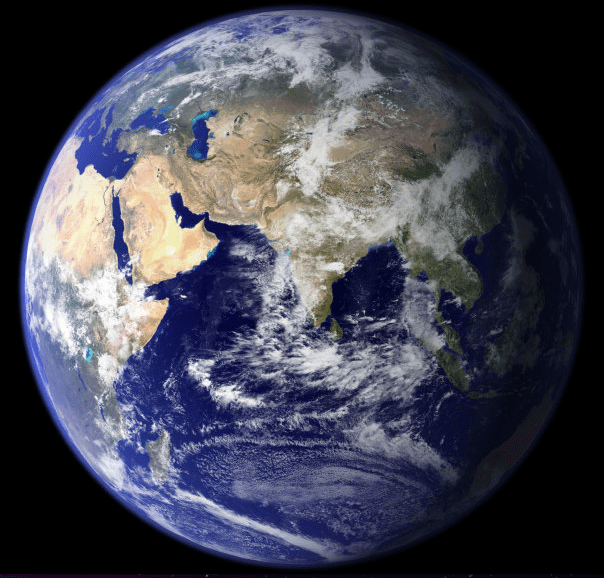 We will learn about strategies and practices that help create living systems that thrive, are abundant & can sustain humans as well as other beings and the earth as the whole. During the economic week we will learn about the dominant economic system and the materialistic worldview; how it is affecting the social, ecological & spiritual dimensions. In the local context we will look specifically how this global economic system is effecting local farmers. We will then move beyond this learn about alternative economics systems that focus on Right Livelihood, Social Enterprise, how we can support ourselves & our local communities in a fair way. Founder of Gaia Ashram & Gaia School Asia. Lived and worked at Wongsanit Ashram in Thailand for 8 years. 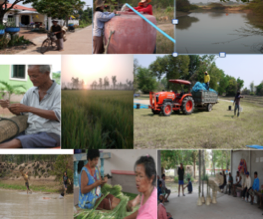 Wongsanit Ashram is a intentional community for simple living and for engaging in social action and spiritual practice founded by socially engaged buddhist activist Sulak Sivaraksa . 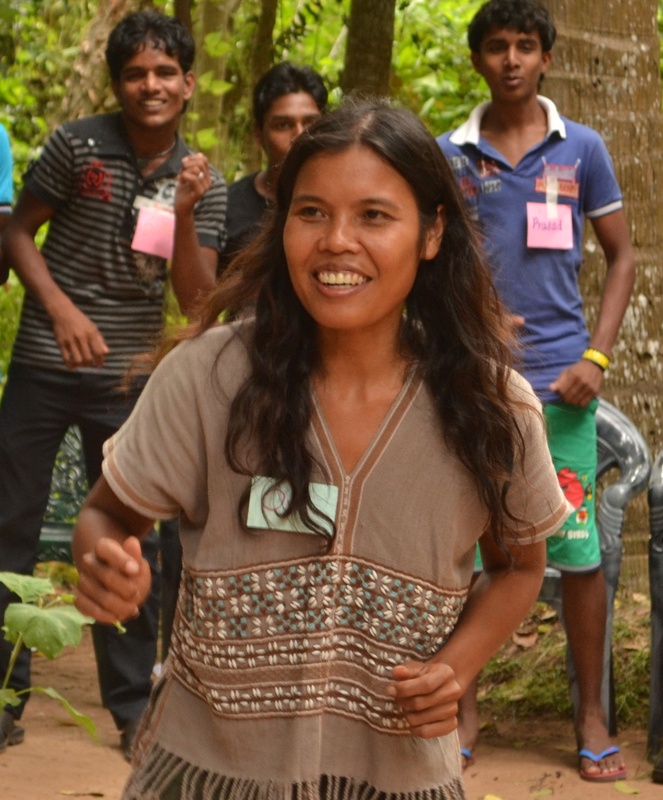 Here she was trained as and started working as a facilitator. After that she spent one year living and working at the Panya project which is a permaculture based community in Thailand. Involved in NextGEN (Next Generation of the Global Ecovillage Network) as the current representative of NextGEN Oceania and Asia. She teaches and facilitates courses such as Ecovillage Design Education (part of Gaia Education), Socially Engaged Buddhism/Spirituality and Training of Trainers. She has facilitated courses for NGO workers, young Buddhists activists, international students, children and teachers. She uses participatory teaching methods and her focus is on deep ecology and nature connection. Tom is the Co-founder of Gaia Ashram & Gaia School Asia. He has a sensitivity to nature and spent a lot of time in nature. This sensitivity let to a deep commitment to help nature in its healing process. In his role as documentary maker he has used the medium of film as a teaching tool to raise awareness about environmental problems that we are facing in our world and the harm we are doing to nature. Tom first got in touch with the ecovillage movement in 2007 when he did an Ecovillage Design Education course at Findhorn. He spent the last several years working with nature by working on organic and permaculture farms throughout Europe. In gardening Tom uses ecological principles and intuition. The other part of the solution in his view is education and sensitizing youth to the importance of taking care of nature, as they are the future caretakers of our planet earth. Tom through Gaia School Asia and NextGEN Oceania & Asia has taught in many schools in India, Sri Lanka, Nepal and Thailand about local environmental problems and the need to come up with practical solutions. Ben is a permaculture designer, consultant and teacher with a background in organic and biodynamic gardening / agriculture, natural building, horticulture and landscape architecture. 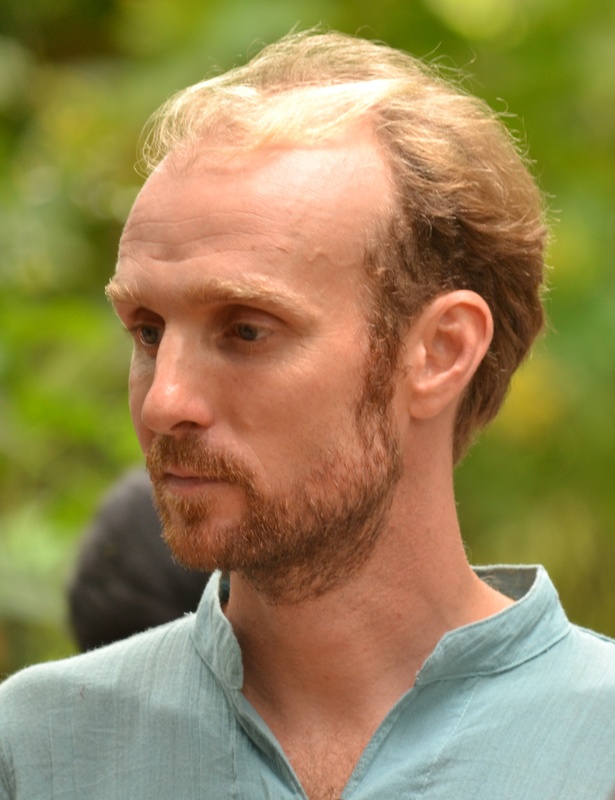 Ben has been actively practicing and teaching Permaculture for the last 5 years in England, Thailand and India and is currently managing the gardens at the Panya Project, a well known certified Permaculture Education center and international community. He loves community living, natural building and is most often to be found with his hands in the earth working in the plant realm. Ben is passionate about applying Permaculture design to every element of life and believes in being the change we wish to see in the world. Prema has been traveling and living in intentional and spiritual communities for the past 15 years. Her passion is being part of creating sustainable conscious communities, who are actively working toward harmony and sustainability in the physical, environmental, relational and spiritual aspects. Prema has diplomas in Art Therapy as well as Group Facilitation, and has spent many years exploring various conscious movement and dance practices, and is also facilitator of Dancing Freedom. Prema has a love of Deep ecology processes and working with communication and social relationships as a key to human evolution. She is also writing a funny children’s novel, based metaphorically in spiritual concepts. Who might be interested in this program? Those who are interested in community living and want to learn and experience it with others who share similar values – like minded people. Those who are interested in Deep Ecology, nature connection & spirituality and want to learn to ground it as a basis of every day living. Those who are interested in Permaculture in practice. Those who are interested in holistic sustainable living and want to gain knowledge, skills, experience, confidence and empowerment in seeking for a sustainable living. Those who are interested in learning to put ecovillage design into practice, putting vision into action. Those who like to learn and gain experience of forming a community and pioneering a project at its very early stage. Those who have land or a project they want to according to similar values. Facilities: Since this is an internship program for pioneers, interns should not expect much comfort. Basic facilities and needs will be provided for. Accommodation: Dormitory, second floor of the Gaia Sala. Toilet and Shower: compost toilets and roofless showers for men and women. Internet: Internet Shop in the next village is usually available everyday & we have an internet stick for sharing. We will provide trip to internet on sundays. Food: Healthy local vegetarian food will be served by local cooks. The interns will have opportunity to learn how to make Isaan and Thai food during the internship. The interns will team up to cook breakfast in turns and in the weekends interns will team up amongst each other to take turns to cook lunch and diner. No Alcohol or Drugs: We ask volunteers not to drink alcohol or use drugs on the land. We ask smokers to smoke at the smoking corner only. this will help to provide healthy environment for learning and living together for one month. We encourage people to take this one month as an opportunity to have a break from their smoking or drinking. We will have 20 spaces available for the Internship after it is full you would be put on the waiting list. The course fee includes food, accommodation and the teacher & organizers fee. The profit of the course will be invested to develop the Gaia Ashram project. The sun raises everyday in Gaia Ashram following the steps of the wind, as the bird does in its unique destiny. Here, for two weeks, or one month, or even longer, times goes on and flows with the hands on full of clay, with the mouth speaking dreams that grows in the organic gardening, with the hearts joining practices of non-violent communication, with the unknown steps into the deep ecology under the stars. Gaia Ashram is a nursery of seeds waiting for you to come and let them been spread in the heart of the Mother Earth/Pachamama/AMALURRA, before the sunset of everyday.